After a hiatus from Bikram as I went on my “Eat, Pray, Love” trip to Nepal and India in December for a whole month, I rebooted my regime by committing to the 30 Day Challenge at BYCH (Bikram Yoga City Hall). I have just completed my 16th consecutive day and I feel really good. BYCH is a very nice studio with very friendly instructors and staff – feels like a second home the moment I step in daily. What I like about the practice is that every session feels different even though the poses are the same. One day I could feel extremely powerful, yet another day I can feel like I have the weakest limbs ever. I have learnt not to expect anything, but just accept the way it is and just be. Very similar to my Buddhist meditation training where my teacher would always instruct me to “watch the mind, rest the mind, observe without any fabrications and simply be present and watch”. Of course, it is not easy. Concentration in ‘watching the mind’ is a challenge but when practiced often, the mind can rest more easily. From a few seconds, to probably a few minutes. And it is this ‘restful’ state which brings much bliss to the meditator. Applying the same concept to my Bikram practice, I simply concentrate on the teacher’s instructions, and move into the poses with 101% effort and concentration. 101% is an aspiration, but most of the time I swing between 70 – 99% depending on the internal dialogue like “oh it is too hot today/ the instructor is annoying me today/ the person beside me is breathing so hard/ my legs need a rest/ i think the sweat is infecting my acne…..” and it goes on and on. There comes the benefits from mind training – the moment I lose concentration, I am able to bring the mind back to the present, and just flow into the pose with mindfulness. 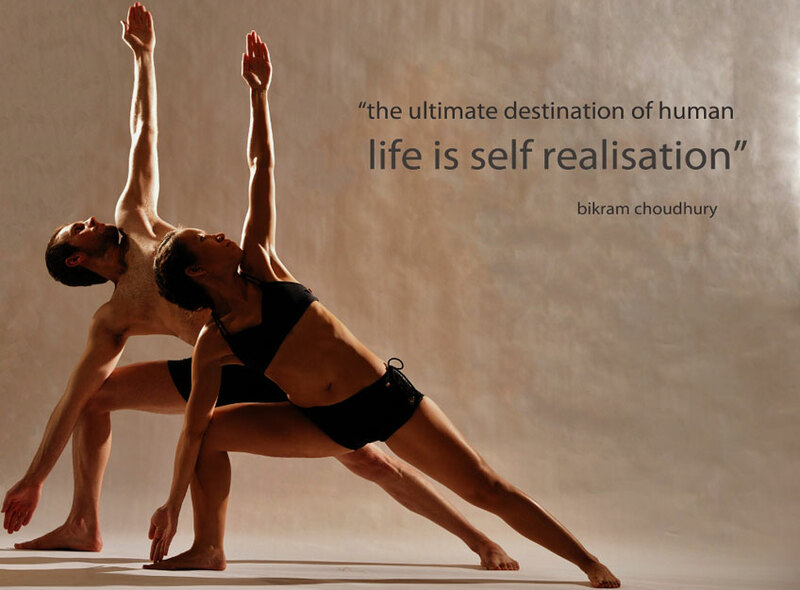 I like Bikram yoga because it is an active form of physical meditation in complementing my journey in mind training. It is very hard to describe or put it to words because it is experiential. No matter how much I tell you how tasty the food tastes, you will never understand unless you taste it for yourself. The joy comes from that very few seconds of clarity when you are in the pose itself – and this joy simply follows you throughout the day.